Get Peshawar Zalmi Team Kit, Logo and Official Song for PSL 2019. Pakistan Super League 2019 is being held from 14th February in U.A.E and Pakistan. A total of six teams will participate in it. Peshawar Zalmi represent Peshawar city which is the capital city of KPK. Peshawar Zalmi Team Kit, Logo and official Song is available here. Peshawar Zalmi is one of the top teams in PSL. Previously, they held the title in 2018, however the next year they lost it to the Islamabad United. This year Peshawar Zalmi are planning to retrieve their PSL title back. Moreover, the Caribbean T20 star Darren Sammy will be leading the Peshawar Zalmi in this season of PSL. The Peshawar Zalmi management has introduced the Peshawar Zalmi official Team Kit, Logo and Song for PSL 2019. The official Team kit for Peshawar Zalmi in PSL 2019 is in yellow color. However, the collar and the sides of the Peshawar Zalmi jersey are designed with black colors. The official logo of Peshawar Zalmi team is printed on the left side of the kit. Whereas, the left and the bottom side carry the logos of the RD and Haier which are the Peshawar Zalmi sponsors in this season of PSL 2019. The official logo of Peshawar Zalmi in PSL 2019 is a traditional Pashtoon turban sitting on the Peshawar Zalmi name. The color of this turban is yellow with a blue border. 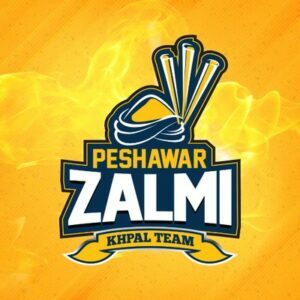 The official song for Peshawar Zalmi in PSL 2019 is ” Zalmi Da Pekhawar” sung by Gul Panra and Zeek Afridi. Kamran Akmal, Wahab Riaz, Hasan Ali, Sameen Gul, Khalid Usman, Umaid Asif, Daren Sammy(c), Liam Dawson, Misbah-ul-Haq, Kieron Pollard, Dawid Malan, Umar Amin, Sohaib Maqsood, Wayne Madsen, Nabi Gul, Jamal Anwar, Andre Fletcher, Chris Jordan, Ibtisam Sheikh, Samiullah.